Here is a recent acquisition: 1979 Greco SE-600J. 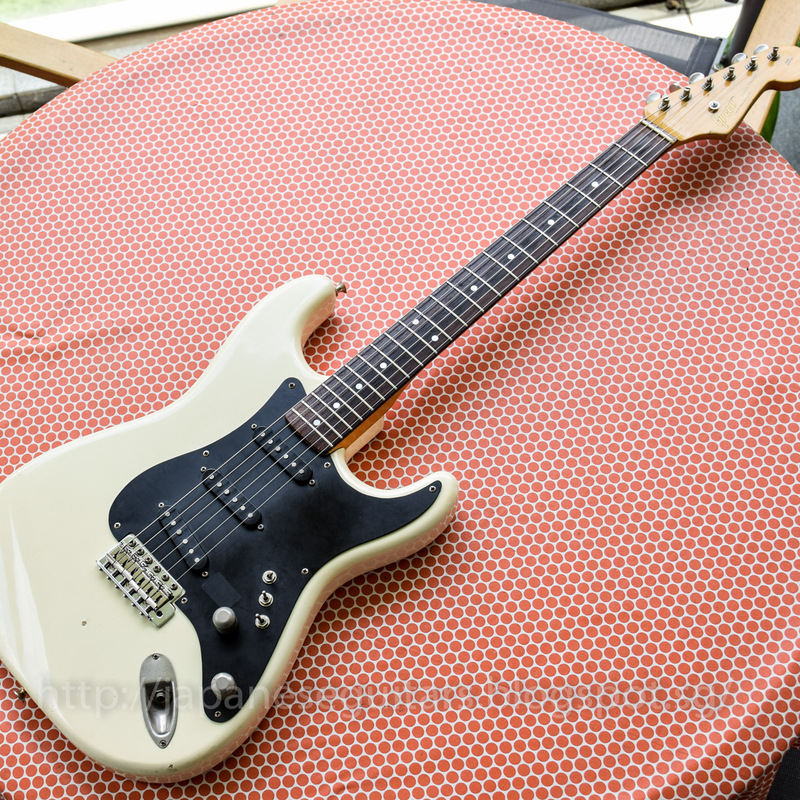 This was based on a customized strat Jeff Beck used during the 1978 Japan tour "Jeff Beck with Stanley Clarke." 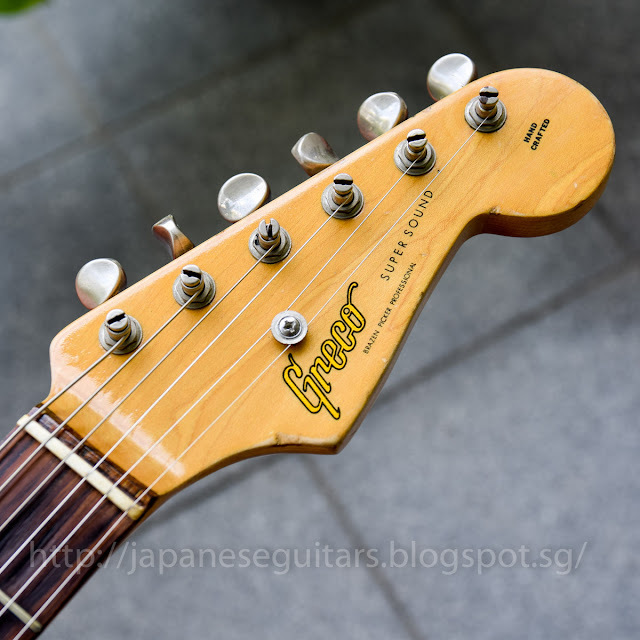 Even thoughJeff didn't seem to use this strat exclusively after the tour Greco was soon to issue their own versions along with similar models from Aria Pro II, Fernandes and Navigator. I have had a couple of these including a light mint condition 1981 SE-500J Spacey Sounds model that was about 7 and a half pounds. 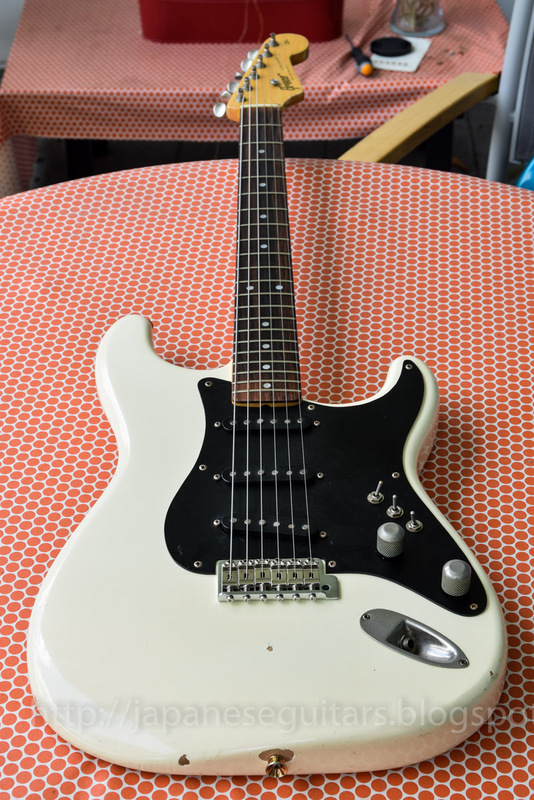 This one from 1979 looks like to wild older brother compared to that one and has a ton of honest play wear in it. It weighs 9 and a half pounds which is more than a good number of Les Pauls. 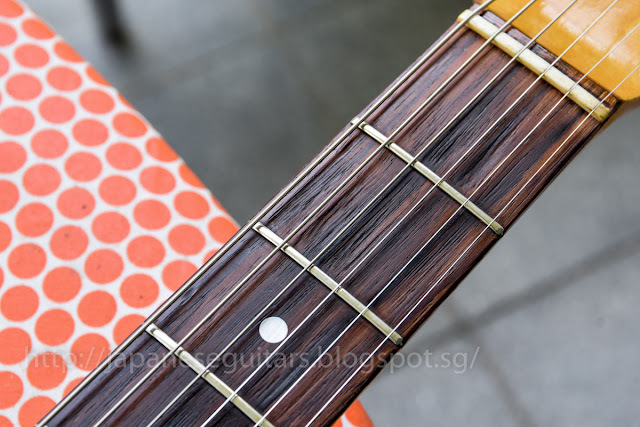 Check out the fretboard wear at the first few frets. 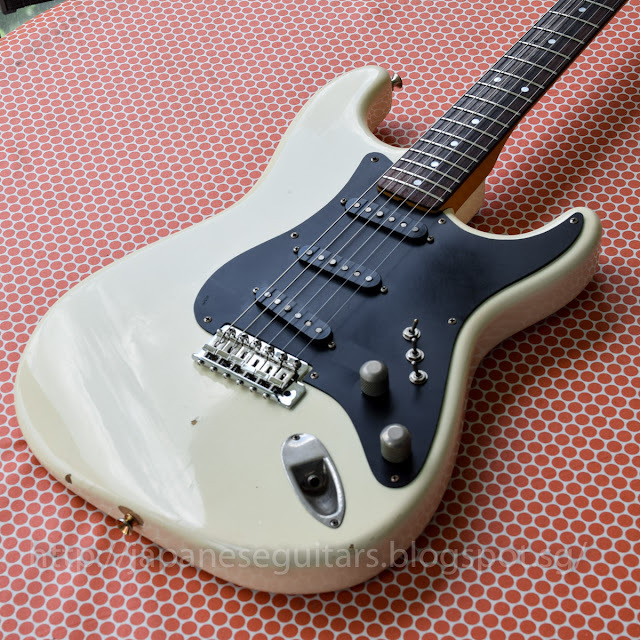 All in all a nice (if a bit heavy) natural relic that sounds and plays great.